Horse betting has taken off in the last few years and absolutely gone gangbusters. It used to be that off- track betting sites or at the track itself, were the only places to lay some coin on a great race. The ever growing online gambling industry has changed the lives of bettors forever and now it’s possible to bet on live events 24 hours a day. There are literally hundreds of options for betting the ponies and the question is; how can you know the good sites from the bad ones. The truth is, there are many good race books and many bad ones. Don’t let yourself get trapped with a bad one. It can be difficult to get your money and get out. Who needs this? Is it Time to Change Your Pay Per Head Provider? You bet horses because you love the excitement and you love the opportunity to make money. If you are an avid horse bettor then you are most likely an avid handicapper. The two go hand in hand. The one thing that you will find to this very day in the big sportsbooks of Las Vegas is an attitude of catering to horse bettors. Without fail the nicest, often swankiest and most comfortable section of the book, is the horse section. Usually there are individual closed circuit TV’s with all of the day’s action and big leather seats with a comfortable desk for the player. There will often be food service with a waitress and free drinks all day long. They want the business, they must have the horse business, it’s a very large part of the sportsbooks overall bottom line. ►When looking for a great racebook keep this in mind. You want a sportsbook that takes pride in their offerings. Find out what tracks they offer and find out if they are competitive to the competition. In doing this research you just might discover that you would rather be with the competition! 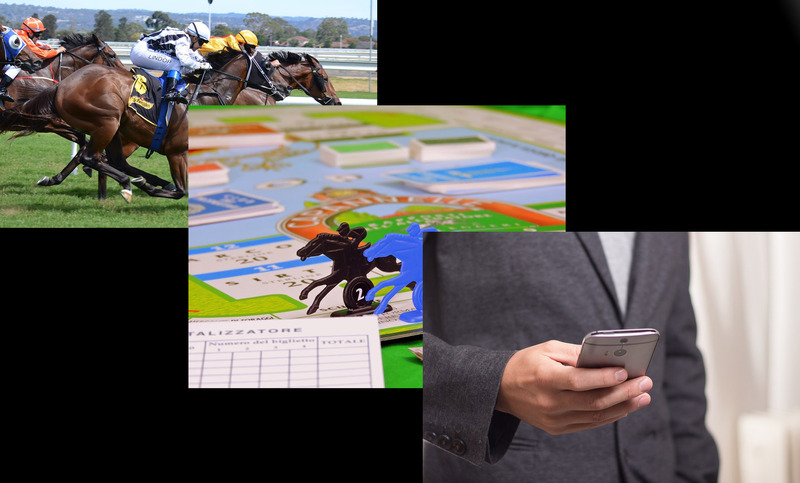 Horse bettors want a variety of tracks, they want to know they have options for action. If there are limited options why would you choose a book like this? If you are like most horse bettors, you may wake up at 3.00 am and get a wild hair to bet on a horse. There is nothing worse than wanting to bet and having nothing to bet on. ► Look for a fantastic sign on bonus. This is how sharp horse players make their money. They sit there all day betting horses and you can be guaranteed they bet the bonus money first. Why not, it’s free money? The key to bonuses is knowing play through and rollover schedules. Know them before taking the bonus. Always read the “terms and conditions” on any racebook and know the bonus rules. This will save you a lot of problems and headaches later when you want to collect. ► Find a racebook that offers a telephone number to call them. This should be the number one rule before searching for anything else. Really it’s that important. When checking out racebooks online, make sure they have a toll free number that can be called from the United States. If they have a toll free number that is answered then you know they are making it a priority to cater to American players. Always ask the online racebook about their deposit and payout methods. Know where you stand before making that deposit and have a verbal conversation with an agent before committing. If they are a racebook worth your time, they will make the time to inform you and set your mind at ease. You’re in this for fun but you are also in this for the money. Find a racebook that works for you, not against you.